There are several types of biometric modalities that can be used in automotive applications, some of which have been demonstrated at CES earlier this year, such as voice recognition by Honda and facial recognition by Chrysler. This article looks at three key drivers behind the adoption of biometrics in automotive applications. 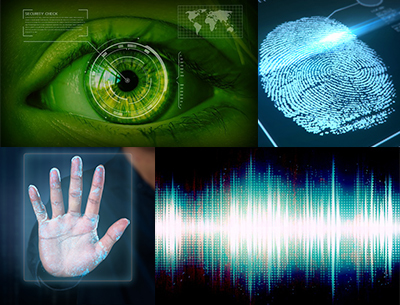 Biometric modalities include fingerprint and vein imaging, iris and retina scanning as well as face and voice recognition. Each modality has its pros and cons in terms of its compatibility with all users, its ability to detect liveness and its resilience to spoofing. As a result, there is often a preference to implement more than a single means of authentication, to allow so-called multi-factor authentication. For example it has been proven that fingerprint imaging can be spoofed in some cases. However, if paired with vein imaging then the robustness of the automotive access system increases; a user may be able to fake a fingerprint but they will find it more difficult to spoof a multi-modal system. Another logical pairing would be face recognition and iris scanning. Cars are usually shared whether they are family cars, company cars or commercial hire vehicles. There is a trend in the automotive market to make cars ‘smarter’ by enabling them to recognise their users and recall their preferred settings (for example the position of the car seat, mirrors and the steering wheel; the favourite radio channel or music albums as well as the most often used destinations). In this regard biometrics can not only be used for secure user access to the vehicle, but they can also serve to automatically customise the driver and passengers’ experience. Moreover, the use of biometrics in automotive applications allows users to authenticate payments from their vehicles, such as for road tolls or parking. Car manufacturers will likely select biometric modalities that are practical to integrate in the vehicle - for example, a camera installed near the rear-view mirror to capture face/iris or the integration of a fingerprint on the dashboard, steering wheel or door handle. The integration of these devices should not cause any inconvenience to the users or change their driving behaviour, but instead make their experience even more intuitive. Additionally, debates around where the user’s biometric data is stored and how secure it is, particularly for commercial hire and corporate vehicles, will have an impact on whether car manufacturers adopt different biometric technologies and whether end-users activate them for their daily use. The use of biometrics is already well established in border control and is increasingly spreading across smartphones. It is likely that biometrics are going to be widely adopted in the automotive market too, however the speed at which this happens will depend on the biometric modality or combination of modalities that proves to be most secure, easy to integrate and seamless to use. If you want to learn more about our flexible fingerprint and vein sensor solutions for automotive applications, contact us at info@flexenable.com.